Because Our Voice is Your Voice! Our association’s work behind the scenes may have already had a positive impact on your collision repair business, even though we may not have had the privilege of welcoming you as a member. Your investment in an affordable membership funds efforts that support your business, and improve conditions in our industry. There isn’t a more dedicated or recognized advocate for collision repairers, and the programs we’ve developed speak to our mission. SCRS recognizes the challenges of running a business in today’s environment, and we actively work on behalf of our members to find value-added programs that can enhance the success of your business. Join SCRS today to take advantage of these member benefits and discount programs. Payscape is a new partner of the Society of Collision Repair Specialists as an official member benefit provider of Financial Technology. Our goal is to help you, as a member, reduce payment processing costs while streamlining your operation. Looking to control payment costs & upgrade your technology? Comparative studies with active SCRS members produced proposed savings in some cases upwards of $340 a month, representing a three year savings in excess of $12,000. Payscape is a new partner of the Society of Collision Repair Specialists and the Official Benefit Provider of Financial Technology. Our goal is to help you, as a member, reduce payment processing costs while streamlining your operation. If they cannot meet or beat their current processors pricing Payscape will give them a limited-time offer of a $100.00 gift card and the peace of mind of knowing they are engaged in a great deal. This promotion will run through April 30th. Introducing The SCRS Benefits Marketplace: Group Health Benefits Program exclusively for SCRS members. The SCRS Benefits Marketplace: Group Health Benefits Program exclusively for SCRS members. Industry-first retirement benefit solutions for employers looking for ways to offer their employees retirement benefits, while reducing the administrative burden and mitigating the fiduciary risk and responsibilities. One source solution. Convenience of one invoice, one set of records and 24/7 customer service. SCRS and Admin Concepts have put together a solution to help member businesses create and maintain social media marketing on websites such as Facebook and Twitter. These partnerships have shown business improvement and awareness in community. Facebook is an effective method to market your product to a vast audience for a very affordable price. Using a combination of customer interactions, this will bring your business into the social media revolution! SCRS Members receive a special discount on the Initiation Fee (regularly $250.00) of $75.00 as well as a discounted monthly fee (regularly $89.99) of $79.99! Businesses, individuals, or organizations that are directly involved in the collision repair industry and as such, must have a legitimate interest in fostering a healthy business climate. For those individuals who realize the process of being involved with the leaders of the Collision Industry and truly understands that nothing is accomplished without the support of those who need it. Company Members are those businesses who supply goods and services used by the collision repair industry and who subscribe to the principles and purpose of the Society. Company members participate in quarterly member mailings. Corporate Members are those corporations that have an interest in expanding the services of the Society in order to improve the industry. Only Corporate Members can advertise on the SCRS website. Qualified educational facilities providing collision repair technical training can obtain a complimentary SCRS Educational Facility Membership by participating in the Collision Repair Educational Foundation annual survey. To read about SCRS’ donations to date, please see the Collision Repair Education Foundation letter to confirm SCRS’ Gift In Kind donation. Affiliate Associations are those trade associations or societies whose objectives are parallel with those of the Society. SCRS believes that the best results come from having the right tools. Below are just a few examples of the ways we put member dues to work, by creating resources that work to benefit our members. Be a part of these solutions. Join SCRS today to be a part of these solutions. The Society of Collision Repair Specialists (SCRS) recognizes that there are many legitimate operations and services our technicians provide that go unrecognized in the estimate development and final billing processes. The purpose of this document is to aid repair facility personnel in formulating the most accurate repair plan in the estimate preparation process, to minimize the need or expense of a supplement. This document is intended to be used as a guide to develop and maintain processes performed in your repair facility, and serves as a reminder of steps that may be performed during the repair process. This document does not suggest, or promote, that your shop can or should charge for each item listed; and is only intended to be a reminder for repair operations that are performed in your facility. The document does not contain pricing, quantities, labor hours or any additional information as that should be determined based on your facility’s individual requirements. The Database Enhancement Gateway (DEG) is an initiative that was developed to help improve the quality and accuracy of collision repair estimates, through proactive feedback from the collision repair industry and other “end users” to the Information Providers (IPs) about vehicle-specific errors, ommisions or inaccuracies in the database and labor times. The DEG is a free service that was created, and is equally funded and maintained by the Society of Collision Repair Specialists (SCRS) and the Alliance of Automotive Service Providers (AASP). RDN was formed to provide news and information from a vantage point that would unabashedly be catered to those in the collision repair business. The stories and focus will not be influenced by anything other than keeping the businesses that perform collision repair connected to the information that matters most to them. A well-informed industry is a more viable industry. We believe that “connecting the dots” is important, and that stories should contain more than just what is happening, but also foster an understanding of why it matters. Our vision is one where collision repair businesses are empowered by the information at their fingertips. Our vision is to promote, support and encourage exemplary businesses committed to the future of the collision repair industry, and we’ve found that video is an exceptionally useful tool to reach broad audiences and effectively communicate that information. SCRS’ channel features a growing library of videos including SCRS Education Committee presentations, panels, technical and operational discussions, and even coverage from the SEMA Show events. Subscribe to be notified as new material is released. SCRS is focused on finding solutions to address the skills gap we are facing in the industry. We want to help our members connect with the future generation of our industry. The collision repair industry is rich with career opportunities, and SCRS is committed to connecting individuals seeking rewarding careers with employers who are looking to add to their business. 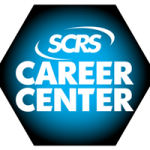 The SCRS Career Center is the best way to promote your open positions to qualified candidates for your business; and a great way to reinvest in the collision community by helping to build awareness of opportunity within the collision repair profession. Individuals that are directly involved in the collision repair industry and have committed personally to the support of SCRS. Such individuals must have a legitimate interest in fostering a healthy business climate, and recognize the value of exemplary support of SCRS and its initiatives. Company Members are businesses who supply goods and services used by the collision repair industry, and that have an interest in expanding the services of the Society in order to improve the industry. Company members participate in quarterly member mailings. Corporate Members are businesses who supply goods and services used by the collision repair industry, and that have an interest in expanding the services of the Society in order to improve the industry. Only Corporate Members can advertise on the SCRS website. Affiliate Associations are trade associations or societies whose objectives are parallel with those of the Society, and approved for affiliation by the SCRS Board of Directors.